Southern Cross Resorts remains focused on service improvement initiatives | announced! 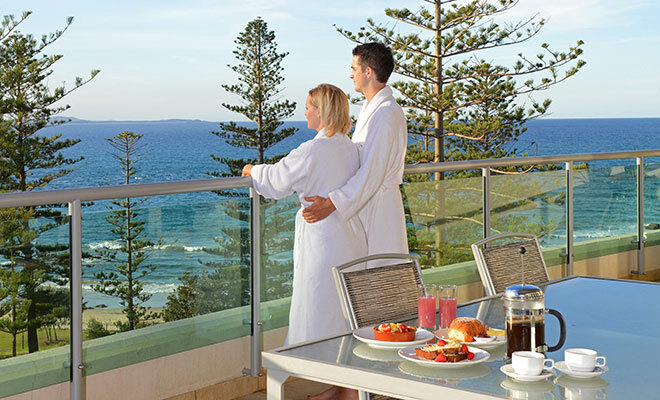 The Observatory is a 4.5-star apartment hotel located in the NSW coastal town of Port Macquarie. The hotel offers its guests a wide choice of accommodation ranging from 33 boutique hotel rooms to 60 spacious one-, two- and three-bedroom apartments, and two luxury penthouses. The Observatory is managed by Southern Cross Resorts – a tourism development established in 2004 by Trish and Chris Denny – which employs more than 30 staff and operates as a strata-hotel with 76 apartment investor owners. As a result of its commitment to service improvement, Southern Cross Resorts was honoured as an ABA100 Winner for Service Excellence in The Australian Business Awards 2014. The Observatory has created an extensive framework that encompasses a fortnightly review of guest feedback along with an annual review of the company’s star rating assessment, workplace health and safety review, and risk assessment. Guest feedback is actively encouraged through feedback forms, social media and online travel reviews, and is documented and reviewed. Once improvements are identified, fortnightly meetings are held with section managers to project manage improvement initiatives. The Stars Club loyalty program has been introduced to reward repeat guests and strengthen the loyalty of key corporate accounts by providing complimentary accommodation, preferred room allocation, complimentary bike hire and discounts. Staff engagement is crucial to providing service excellence and The Observatory has created a staff charter, performance appraisals, incentives and an annual survey to improve employee satisfaction. The Hub now makes USANA even easier to access globally.